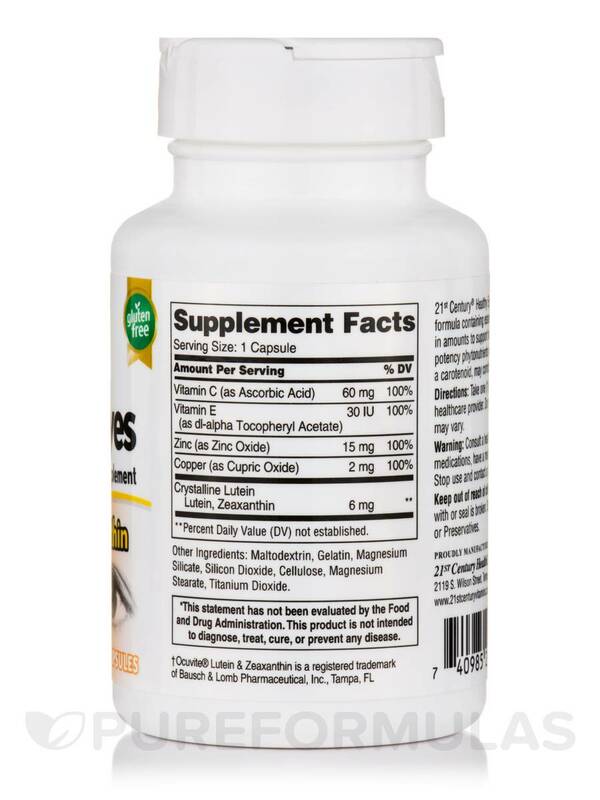 Healthy Eyes Lutein is an advanced antioxidant formula containing essential vitamins‚ minerals and Lutein in amounts to support healthy eye function. 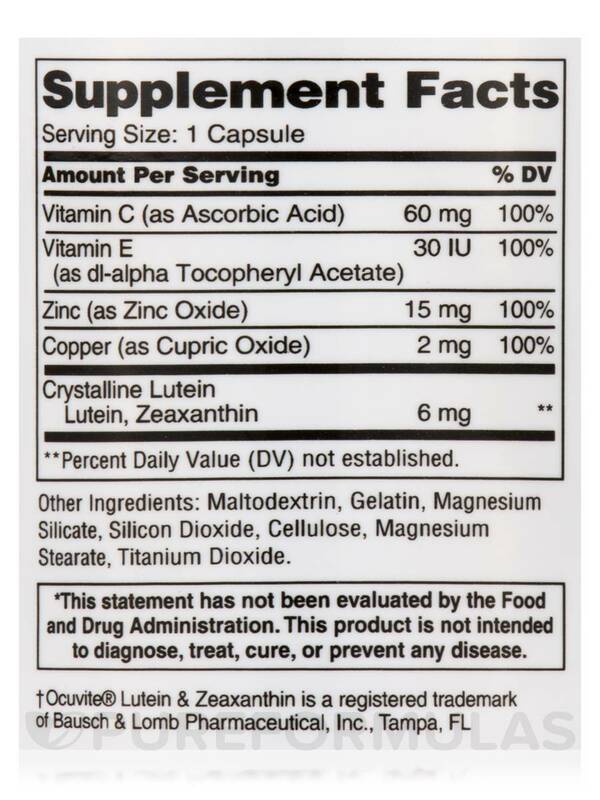 * Lutein is a high potency phytonutrient with antioxidant benefits. 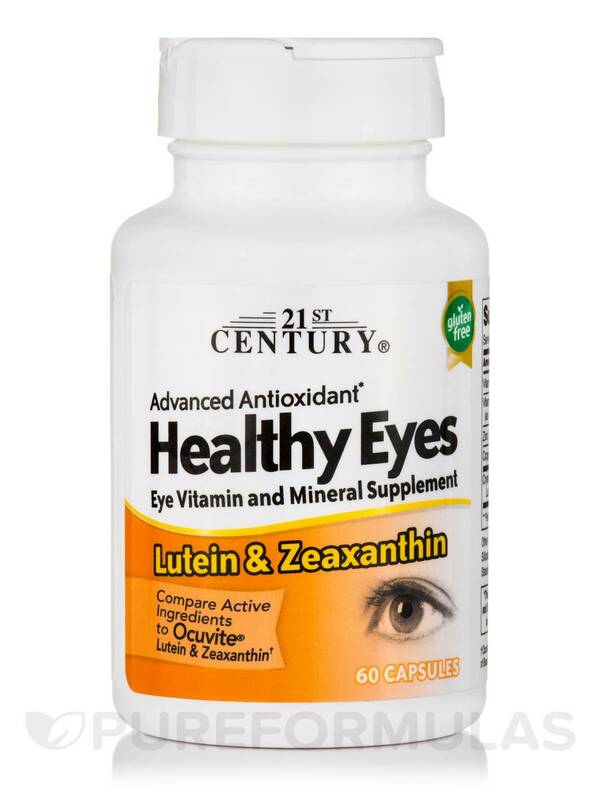 Studies have shown lutein‚ a carotenoid‚ may combat environmental and hereditary effects on eye health. 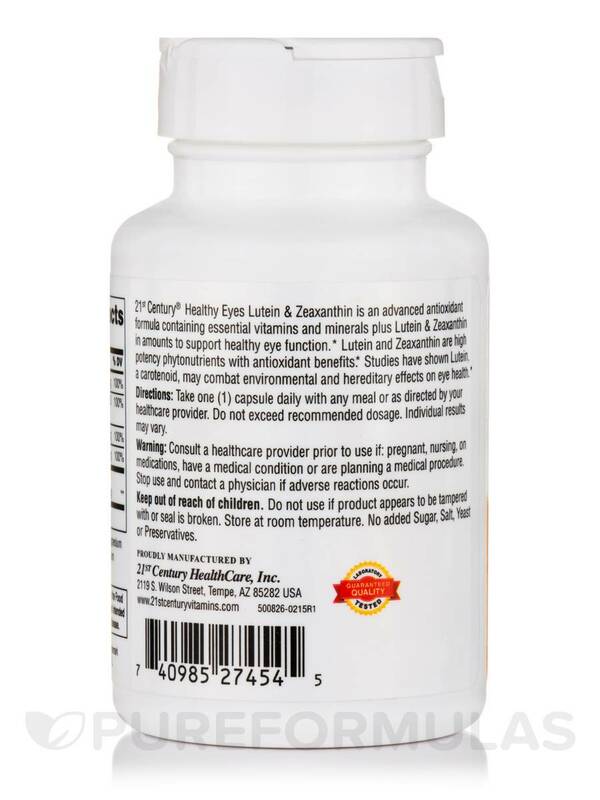 Other Ingredients: Maltodextrin‚ Gelatin‚ Magnesium Silicate‚ Cellulose‚ Silicon Dioxide‚ Magnesium Stearate‚ Titanium Dioxide. 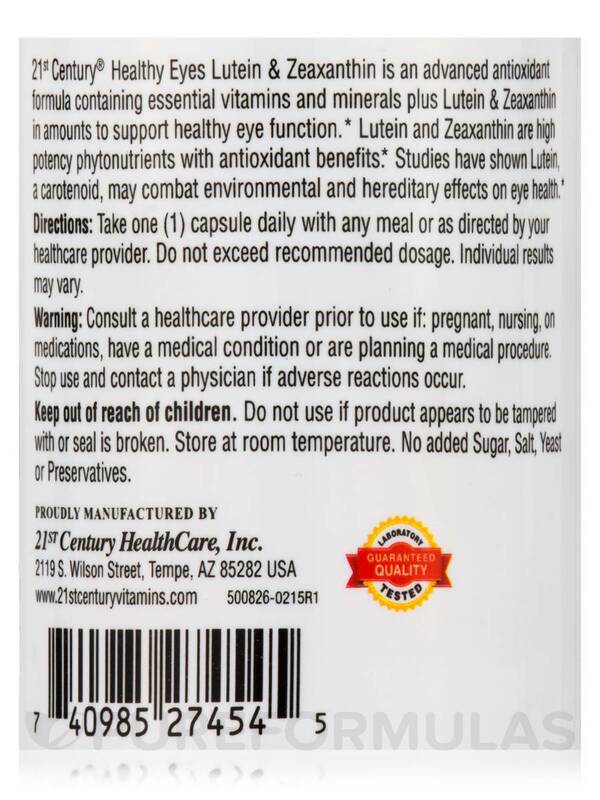 Unconditionally guaranteed for purity‚ freshness and label potency. No added Sugar‚ Salt‚ Yeast‚ or Preservatives. It is doing its job.